I have been very fond of the really funny audio greeting cards made by 'that greeting card company' featuring 'those cute funny characters' for some time. A humorous card is nice, but a humorous birthday card hacked in-a-box is a real gift that keeps on giving! So I set out to make just that - for my Dad's 70th. First, I bought one of those adorable funny audio cards from that greeting card company's store. 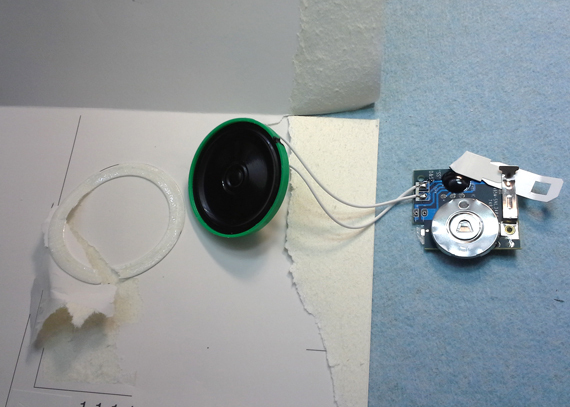 Then I tore it open and pulled the electronics out that were glued to the back of the card on the inside of a fold. 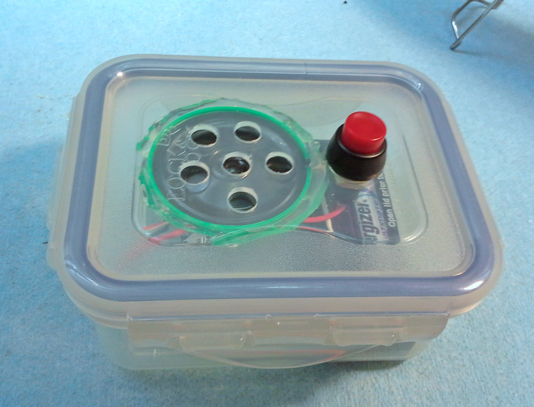 Next, I prepared a heavy plastic food container that was of the right size to contain a AAA battery holder, a pushbutton switch, the speaker, and the audio PCB. 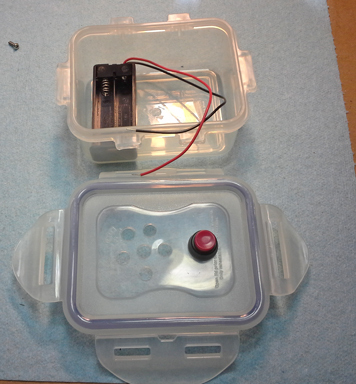 I drilled holes in the lid for the speaker and the pushbutton. This was going to be sooooo easy. Next I had to remove the battery cover and switch that were on the PCB and take out the CR2032 3V lithium battery that the greeting card ran on so that I could hook up a more robust set of replacable AAA batteries. 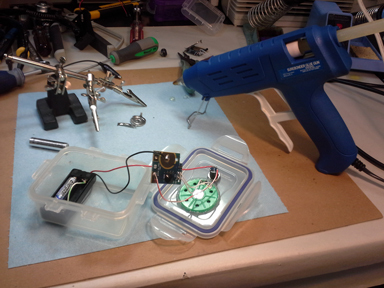 And here is where it got interesting - because any attempts to power the little potted chip with any kind of higher current 3VDC source would fail to operate the chip. 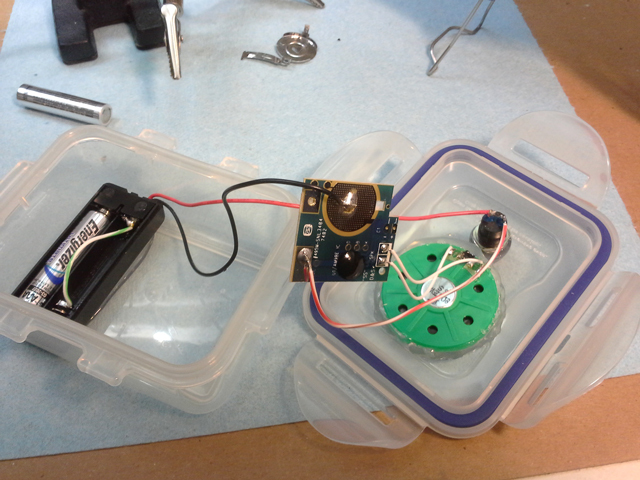 Using 2 AAA lithium batteries at 3.5VDC just caused the speaker to chirp. A little over-voltage, I thought. Hooking it up to my variable bench supply I found that as I slowly reduced the supply voltage from around 4VDC on down that the audio output became longer and longer, and it played more and more of the recording as the voltage dropped. 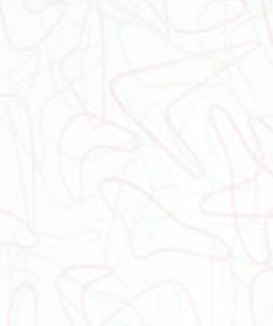 At around 2VDC It played the entire message. It seems as though some kind of sensing circuit on the input varies the total playback time of the chip relative to the current supplied under load. 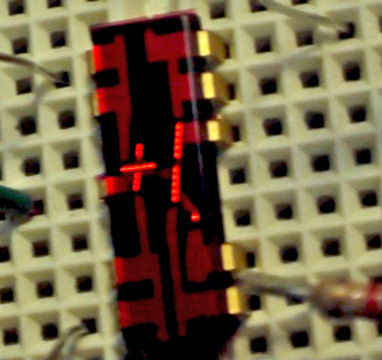 The RC clock seemed to remain at relatively the same speed between 3VDC and 2VDC, based on the playback, but the time it would run changed greatly. I found that any change in impedance in the power supply, like dirty clip leads to a battery or long leads, would effect whether it played or not, how much of the message it played, and for how long. (It may also be sensitive to the specific capacitance of the CR2032 cell, hard to tell) I speculated that this could have been engineered in as a clever way to keep people from taking the board out of the card and doing anything inappropriate with it, like hooking it up to a larger capacity battery so that you could play it forever. Like what I did. 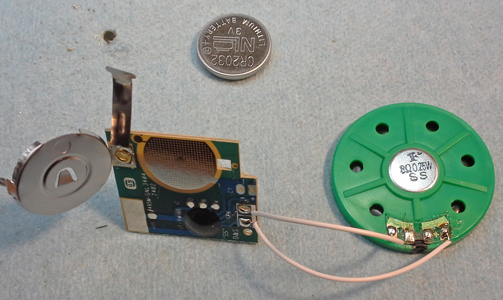 I found that a new single lithium AAA battery had just about the right supply voltage of around 1.8VDC to run the humorous recording at a higher current capacity than the 3V lithium watch battery it came with. In this vlog I take a look at the clever technology that went into making Lionel Trains function, including a copper oxide rectifier, variable transformer, and electromechanical AC switching of the Lionel E-Unit. I also take a deeper look into AC solenoids and the amazing effects of the mysterious shading coil. Oooooo! In this short vlog I go over the basic differences between Nixie tubes and Vacuum Florescent Displays. These displays often get lumped together but they are very different, and not to be confused with each other. 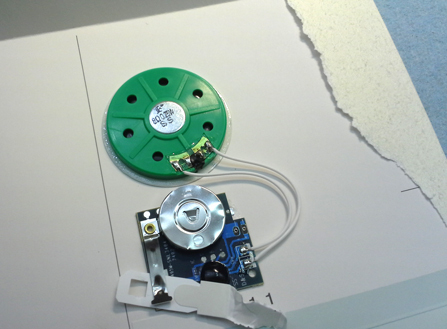 I also give a nod to Dave Jones and his special holiday Mailbag where he unboxes the LVDC board. A love letter, straight from my heart - to the beautiful Light Emitting Diode! 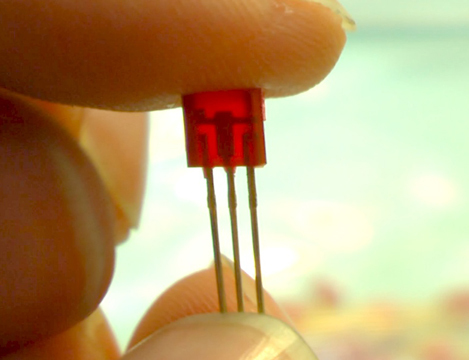 In this vlog I go deep into my collection and show some of the very first LEDs ever made, review them in context of the history of LED's, and also show some of the coolest and weirdest kinds of LEDs that you'll see around. So tiny... so cute... so cool! Early 70's single digit display. Weird and awesome TO-92 case red LED. 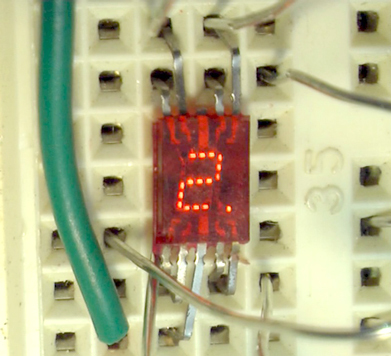 A unique single digit DIP display with +/-1.